Typically, a team with an overwhelming advantage at the face-off ‘x’ is firmly ensconced in the driver’s seat to win most lacrosse games. Loyola junior Kevin Ellington (left) and Jack Koras were instrumental in leading the Dons to a 10-8 triumph over McDonogh on Tuesday. Ellington recorded a dozen saves and Koras contributed four goals and a pair of assists in the victory. On a chilly and drizzly Tuesday afternoon at Hargaden Field in Towson, No. 3 Loyola Blakefield turned that premise on its head when the Dons’ stingy defense and efficient offense combined to negate the face-off disparity in a 10-8 triumph over sixth-ranked McDonogh in a key MIAA A Conference battle. Never mind that Eagle senior FOGO Gable Braun won a whopping 18 draws to force Loyola (5-2, 2-0 conference) to play a ton of defense, a situation that actually worked very well for the home team. First-year Loyola coach Gene Ubriaco credited defensive coordinator Stephen Abrams for getting the backline to play stout ‘D’ in front of junior goalie Kevin Ellington, who did more than his part in making a dozen saves in the contest. Sophomore shortsticks Michael Haus and Matt Rice and junior pole Dave Lamarca aided a backline that featured senior Jarrod King, junior Phil Florenzo and freshman A.J. Larkin. Loyola’s offense was another thorn in the Eagles’ side, most notably brothers Charlie and Jack Koras, who combined for seven goals and a pair of assists in the victory. Yet it was sophomore midfielder Kevin Tucker who’s started the Dons’ roll when he swept to his left and whipped a shot into the net to give Loyola a 1-0 lead with just over eight minutes remaining in the first quarter. Matt Hilgartner knotted the score for McDonogh when he converted a feed from fellow senior attackman Liam Powderly three minutes later. The score would be deadlocked three more times before the Dons pulled ahead for good on a 4-0 run bridging the third and fourth quarters spearheaded by three straight goals by junior attackman Jack Koras followed by another by sophomore sibling Charlie, also an attackman. Trailing, 8-4, with just under 10 minutes to go, McDonogh mounted a comeback when junior midfielder Dane Swanson buried a shot past Ellington before Hilgartner scored an extra-man goal with seven minutes left in regulation to halve the deficit to 8-6. That’s when Loyola’s coaching staff showed what they think of Jack Koras’ ability to control the ball with the game on the line. Each time he isolated on his defender well out on goal-line extended, the Maryland commit drove to his left to get his hands free. The first time, he fed senior Alex Breschi inside for a goal before Koras rifled in his fourth goal of the game to give the Dons a 10-7 cushion with just over four minutes left in regulation. Ellington said that his defenders were doing their best to keep McDonogh’s shooters from going off. “We put a lot of pressure on the ball and tried to get a takeaway, every time they had the ball” he said. Andy Hilgartner said that his team’s defensive inexperience might have been exposed in the setback. The Eagles will attempt to garner their first A Conference win of the season when they travel to meet two-time defending champ and top-ranked Calvert Hall on Friday at 7 p.m. at Paul Angelo Russo Stadium in Towson. The Dons will also hit the road to Annapolis to challenge No. 5 St. Mary’s, which upended second-ranked St. Paul’s on Tuesday. Pictured above: Loyola’s Alex Breschi and a teammate attempt to win possession of a groundballl from McDonogh’s Adam Lamberti, center, in the Dons’ 10-8 A Conference win on Tuesday in Towson. 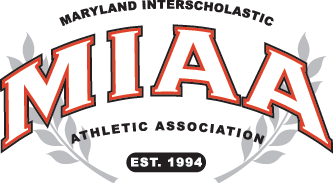 Goals: McDonogh-Matt Hilgartner 3, Harrison Beattie 2, Dane Swanson, Gable Braun; Loyola-Jack Koras 4, Charlie Koras 3, Alex Breschi 2, Kevin Tucker. Assists: McDonogh-Adam Lamberti 2, Liam O’Hara, Matt Hilgartner; Loyola; Jack Koras 2, Kevin Tucker. Saves: McDonogh-Evan Long 6; Loyola-Kevin Ellington 12.